Since 1999, the Cascade Blues Association has sent local acts to represent our organization and region in The Blues Foundation’s International Blues Challenge. Over the years, our competition, the Journey To Memphis, has selected a terrific collection of some of our top talent, including several who have made the finals such as Junkyard Jane, Blind Rhino and Ben Rice & The iLLamtics, and even those who’ve taken home some of the top prizes, Ty Curtis Band – 2nd place 2009, Karen Lovely – 2nd place 2010, and most recently Rae Gordon & The Backseat Drivers – 3rd place 2017. This year’s field of contestants seeking to reach their place competing in Memphis will come together for the first round at the Vinyl Tap, 2099 SE Oak Grove Blvd, on Friday, June 2 and Saturday, June 3. Set times for the acts were drawn at random and five will perform starting at 8:30 pm on Friday and the other six beginning at 8:00 pm Saturday. Set times will be 30 minutes long and they will be scored by a trio of judges on blues content, originality, vocals, instrument talent, and stage presence. The two highest scoring acts from each night will advance to the Safeway Waterfront Blues Festival for the finals to be held on the Front Porch Stage, Tuesday, July 4. The acts for this year’s Journey To Memphis are: David Pinsky, Gabriel Cox, Holfar Blue, Jason “JT” Thomas, Julie Amici Duo, Lightning Kings, Louis Creed & The Geezer, Randy Morrison’s Party Bus, Rogue Rage Duo, and The Timothy James Band. Admission for each night is $10.00, which will be used for the prize money awarded to the winning acts to help defray some of their traveling expenses to Memphis. 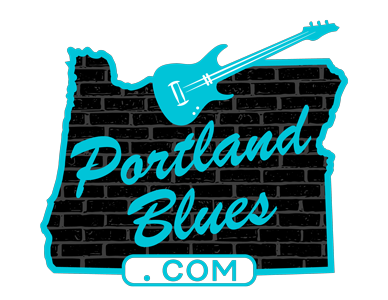 Winning acts will also be awarded a set at the following year’s Waterfront Blues Festival, and Rae Gordon has once again scheduled a Blues Cruise on the Portland Spirit that will include the winners to assist in raising funds for the trip for the IBC, too.